"For some men, the sky was the limit. For him, it was just the beginning." 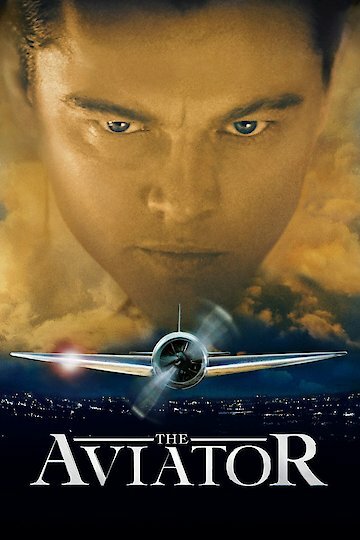 The Aviator is a dramatic film that tells the true story of Howard Hughes, an eccentric billionaire who rose to fame in the 1930s. Hughes is played by Leonardo diCaprio. Hughes inherits a large fortune when his parents die, and he uses it to run a tool company. He also has a severe phobia of germs brought on by his mother’s warnings when he was a child. Hughes has a lot of interests and the money to indulge in them. He directs his own film called Hell’s Angels. He is so obsessive that it takes him a lot of time and money to finish the film. He also has an affair with Katherine Hepburn, a famous actress. Hughes is also obsessed with airplanes. He invests a lot of his money in an airline. He also purchases many different planes which he flies in an attempt to set speed records. Hughes also breaks up with Hepburn and begins a series of romances with actresses as young as fifteen. Hughes begins to grow crazy and increasingly paranoid. He is severely injured while he is test piloting one of his own planes, and he takes a long time to recover. He had a contract with the United States government that canceled it after the plane crashed. Hughes ignores this, and he decides to use his own money to continue developing the plane. He refuses to accept that his design is a disaster and is convinced everyone will change their minds. Hughes begins to have hallucinations, and he orders his girlfriend’s phone tapped because he is paranoid that she is cheating on him. He begins to have flashbacks and really loses his mind. His friends and employees try to help him, but they are unable to. The film ends with Hughes repeating the same phrase over and over and gradually losing his mind. The Aviator is currently available to watch and stream, download, buy on demand at Netflix, Amazon, Vudu, Google Play, FandangoNow, iTunes, YouTube VOD online.